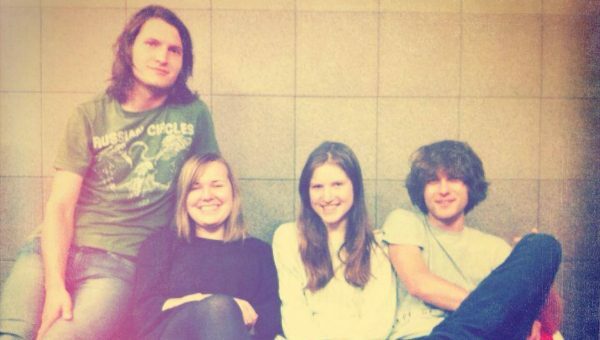 Czech bands know how to shoegaze, and the young guns Manon Meurt from the town of Rakovník are here to prove that they are more than apt to walk in the steps of early 90s MTV approved heroes such as Ecstasy of St. Theresa and Toyen. Their profile rose significantly after supporting My Bloody Valentine at the shoegaze legend’s first Prague gig in 2013, and Manon Meurt confirmed their status as a band-to-watch with an eponymous debut EP. It got plenty of attention on the international music blogosphere with praises going to the beautiful ethereal vocals of Kateřina Elznicová. Manon Meurt’s live performances deserve mention as well – with their dreamy guitar soundscapes and stage lit only with white Christmas tree lights, seeing Manon Meurt live is a truly unique experience.